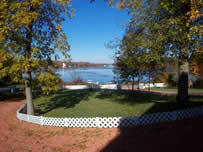 "Thank you Sharon and Team for the sale of our home on Rice Lake. Their excellent advertising ideas and marketing was the most important reason why we selected this real estate office. Our house sold in less then a month, which was fantastic. Overall we were very satisfied with the communication and how they kept us informed during the sales process. We highly recommend this Team to anyone who is buying or selling their home." "We would like to express our appreciation for the excellent service The Sharon Male Real Estate Team provided in selling our home in Hastings. We were very satisfied with the communication and how Sharon and her Team always kept us informed during the sales process. The advertisements which were provided in the local paper and on the internet only assisted in the sale of our home. We would highly recommend Sharon to our friends and family".